I know that there are at least two people who are interested in giving Flower Power a try and I thought I’d post some tips to help match and sew y-seams. 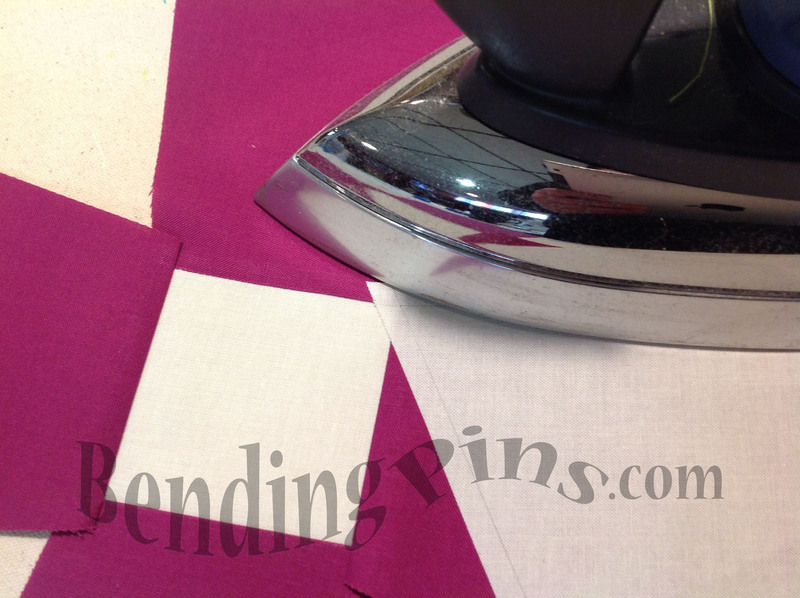 I start creating a flower by sewing the 3″ side of the 4 tumbler sections onto the 3″ x 3″ square, leave a 1/4″ seam allowance on all sides. 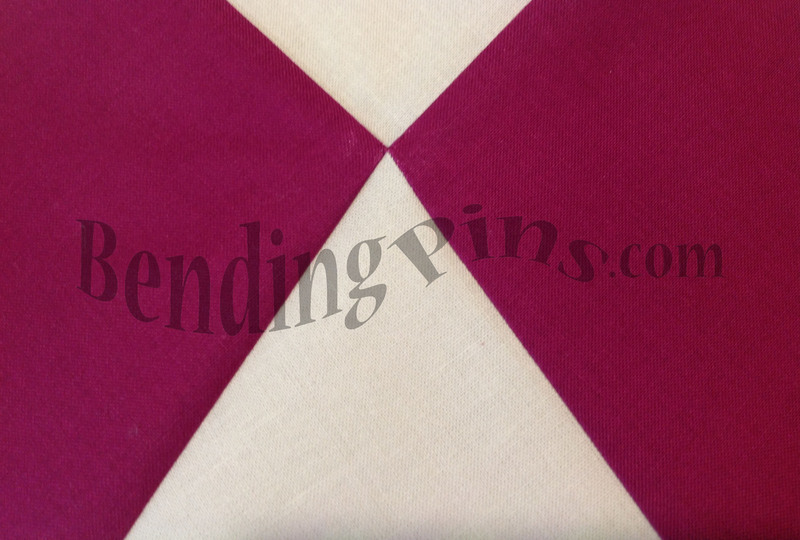 I draw a 1/4″ seam allowance on the 3″ squares and triangles, this helps when matching points. 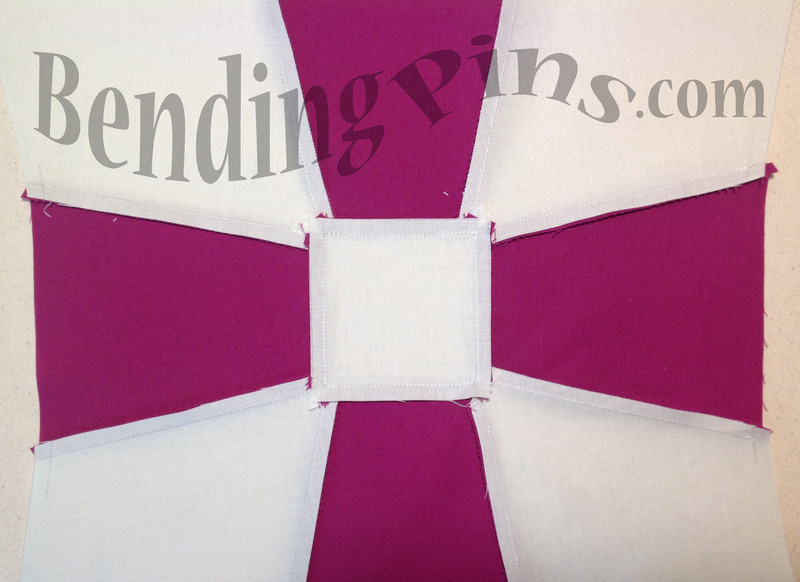 ** Reduce your stitch length to approximately 1.8mm when sewing bias seams **. 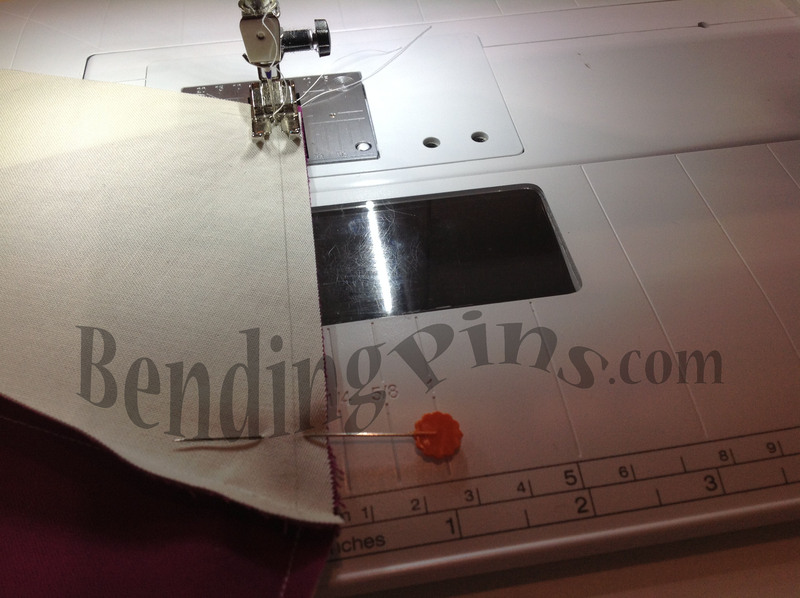 When inserting your diamond piece between the tumblers, your first seam needs to start at the center sewing out toward the edge. I use a pin and drop of Elmer’s School Glue (washable!) then press to secure so it doesn’t shift. Set glue with an iron. Sew the first seam from the center out to the edge. I always backstitch y-seams!! 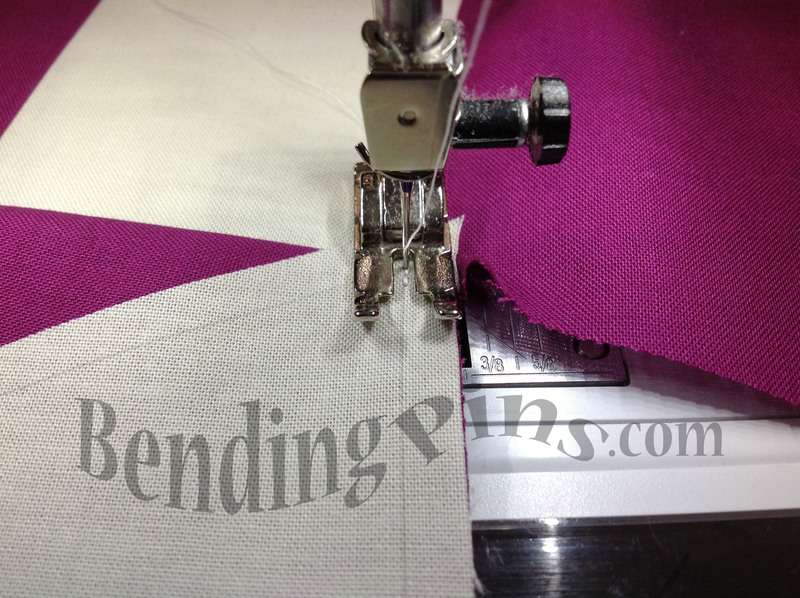 Stop your seam 1/4″ from the edge and backstitch. Pivot your diamond piece and start your second y-seam a 1/4″ from the outside edge (no glue necessary). Sometimes I use a pin to ensure the edges stay in line. I press all seams toward the darker fabric. As you can see above, I sewed all four diamonds onto this block, oops! I really didn’t think everything through and have to remove a diamond from each block in order to sew them to each other. I have all my flowers sewn and am in the process of joining them together, will post an update tomorrow. This entry was posted in Piecing, Quilt Pattern, Tutorial and tagged Flower Power Quilt Pattern, Y-Seams by Tabatha. Bookmark the permalink. Sketched out your original Flower Power this AM (with the earlier proportions). I wonder–in your first plan, is the little square half the size of the bigger square? And were the flower pot trapezoids one and a half times the size of the little square? I really liked your original layout and was more interested in trying that one. Thanks Tabatha! NP Cathy, have you started yet? So excited that someone is actually going to try it!! 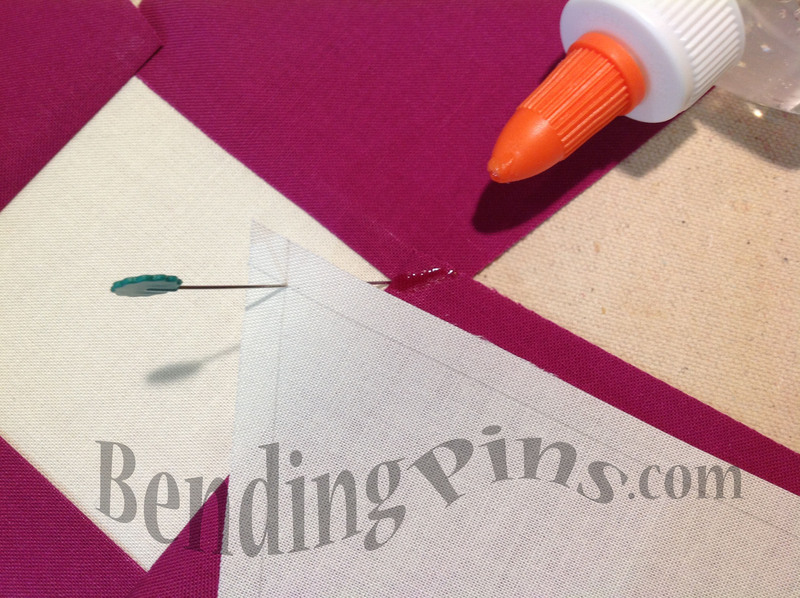 I know this is a few days and a few posts late but I wanted to say that there is an easier way to piece this pattern and you don’t need y seams…. My aunt made this pattern many years ago mid- 1960’s I think and the way she made it was to do it in rows, for example, the diamonds first sewn to the tumbler shape, diamond, tumbler diamond, etc , then the tumbler shape sewn to the small square a tumbler, a large square and so on, then you can actually sew the strips quite wide and then do the whole quilt in strips and not in blocks… Hope this makes sense. If you want to work it diagonally you can do strips in that fashion too.